Catch My Interview on Research at the National Archives and Beyond! 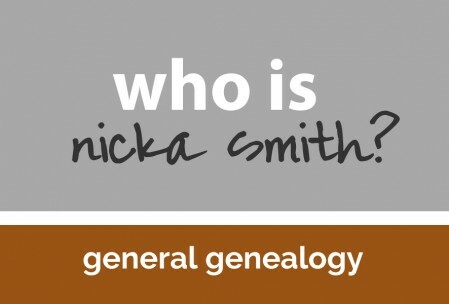 - who is nicka smith? Catch My Interview on Research at the National Archives and Beyond! Did you miss my recent interview with Ms. Bernice Bennett? Check it out here! Curious about my recent publication, The Ultimate Family History Interview Primer? Take some time to listen to my recent interview about it with the lovely Ms. Bernice on her show, Research at the National Archives and Beyond. I was blessed to be part of her 200th episode. Thanks again Ms. Bernice for the opportunity. The African American Genealogy Bloggers – Join members of the African American Genealogy Bloggers Circle for a discussion of the PBS Special – The African Americans – Many Rivers to Cross with Henry Louis Gates. Getting Youth Involved With Genealogy – Do the young people in your life frown whenever you mention your research to them? Learn ways to pique the interest of young people and keep them engaged as you develop your own genealogy.